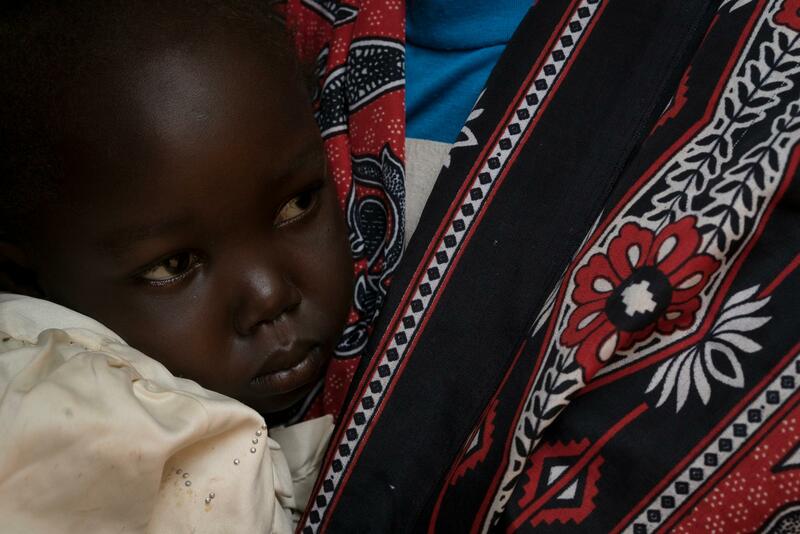 South Sudan: "Less than an hour later, she opened her eyes"
I first arrived in Bentiu, South Sudan, in November 2015, just as the rainy season was ending. In the beginning, malaria was our main issue. I was working in paediatrics and on an almost daily basis I would see children convulsing; suffering from the most severe form of malaria. Many would have scarily low haemoglobin levels and we never had enough blood in the bank. The numbers were so huge that we didn’t even have enough beds. Doing the rounds each day I would be stepping over children who were sleeping on mattresses on the floor as an additional ward was under construction. There is one evening in particular I will never forget. As a nurse we do on-call shifts through the night. Around 9 pm I was called to the Emergency Room - an 11-month-old baby had been carried in unconscious and very pale. We quickly tested her haemoglobin levels and it was the lowest I have ever seen in my life. She was showing to be around 1.8. To put that into perspective, it should be at least 10. "The little girl went into cardiac arrest. We spent the next five minutes doing chest compressions and breathing for her." We immediately rushed the mother to the lab to donate blood, to see if she was compatible with her daughter. While the mother was being tested, the little girl went into cardiac arrest. We spent the next five minutes doing chest compressions and breathing for her. We also administered adrenaline. Finally, the heartbeat came back, but she still did not start breathing. Thankfully, mum’s blood was compatible and so we administered it to her baby straight away, though she still was not breathing. For the next few hours we had to take it in turns to operate a small ‘ambubag’ - essentially a hand-operated ventilator which was breathing for her. Shortly before midnight we persuaded the mother to give another unit of blood. As soon as we gave it to the baby she started to breathe for herself. It was incredible. Lucy with a child patient whose malaria she helped treat. Less than an hour later, this tiny little baby who had spent the last four hours on the cusp of death, opened her eyes. I can’t begin to express how shocked we were; even the mum couldn’t believe it. By 2 am she was breastfeeding! She really brings meaning to the saying ‘back from the brink’. Her story is so special because many other children I treated weren’t so lucky. In those first few months we had several cases where they started to breathe, and you’d get your hopes up, only for them to die a few hours later. "She looked like a different child"
By the following morning, the little girl had started normal intensive feeding and malaria treatment. She stayed with us on the ward for a few weeks, and by the time she left, she’d put on a lot of weight. She looked like a different child. "It's pretty remarkable: a child would be carried in to our ward completely unconscious and convulsing – but with a blood transfusion and an IV, within two days they would often be running around and playing." If all things went well, children would usually be out of the ward within a few days. Even now when I think about that it’s pretty remarkable. A child would be carried in to our ward completely unconscious and convulsing – but with a blood transfusion and an IV, within two days they would often be running around and playing. Fast forward a few months, I've left South Sudan and come back again. Once again, it’s rainy season. I came back to this hospital expecting more of the same but cannot believe how different things are. Before the rainy season had even begun, spraying to kill mosquitoes was underway. MSF supported the distribution of thousands of nets and established ‘malaria points’ in partnership with other medical organisations. This means that people can access healthcare much faster and therefore we are catching malaria cases long before they become serious. By September 2015, we had treated 30,312 cases of malaria. This year, in the exact same period, we have treated 18,414. When you compare these figures it is truly remarkable – almost 12,000 fewer patients despite the Protection of Civilians site being the busiest it’s ever been! On top of that, the severity of the cases we are treating this year is much less - mainly because we are catching cases early. It’s clear that this proactive and relentless approach to preventing malaria in the Bentiu site is saving thousands of lives. When I’m walking through the hospital now, there are empty beds in almost every ward and that is a really great feeling. Let’s hope that by next year, we have empty wards too!